Ancient Roman engraved rings, eye miniatures, love tokens, an Art Deco aquamarine, and diamond brooch: all of these collectibles appear in an exclusive Sydney shop in Queen Street, Woollahra. Anne Schofield, Australia’s best-known antique jewelery expert, unlocks the cabinets in her shop and reveals the favorite pieces of jewelery she has bought, sold, and collected over 50 years. 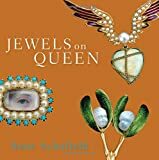 World-famous designers, flamboyant aristocrats, and eccentric collectors all make an appearance in this very personal book as Anne shares the fascinating stories behind a stunning array of jewelery. Anne Schofield opened Australia’s first specialist antique jewelery shop in 1970. She is coauthor of Australian Jewellery: 19th and Early 20th Century, a member of the International Society of Jewellery Historians, and lectures frequently on antique jewelery and costume. She has appeared on ABC TV’s For Love or Money and served on the Antiques Roadshow panel of experts.